Can we create a thinking machine? Can we build a model of the human brain inside a computer? How do our minds really work? Those are some of the questions that researchers in the EU's Human Brain Project are trying to answer. The 10-year European Union Flagship initiative has the aim of changing neuroscience and computing forever, by bringing these diverse communities together and offering them a common platform to work together and understand the greatest computer of them all, the human brain. As the project reaches its halfway point, we went to Bern and Lausanne in Switzerland, and Jülich in Germany to meet some of the team. We begin at Jülich Forchungezentrum, one of the few places in the world equipped to slice up complete human brains for science. It's a no-brainer: if you want to understand something, you have to take a close-up look. 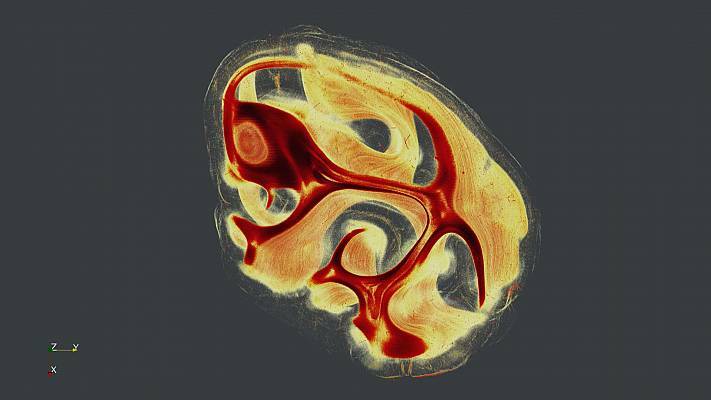 Scientific Director for The Human Brain Project, Katrin Amunts, explains: "If you want to go into cellular details, and see the morphology of cells, their connection - that is 'axons' - we have to slice brains, and this is what we are doing here." 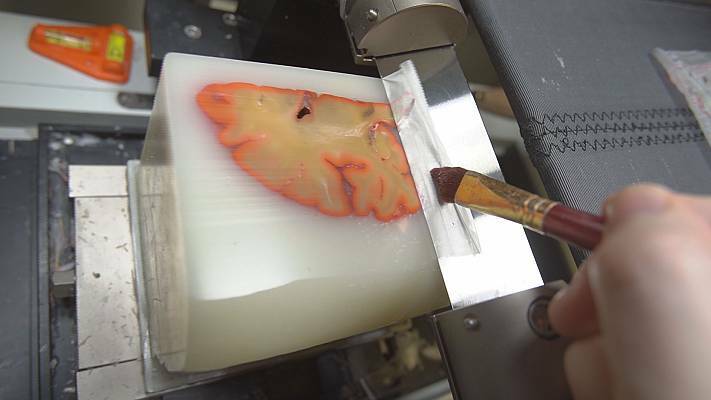 The brain is carefully prepared, preserved in paraffin, then cut into 7,000 slices. 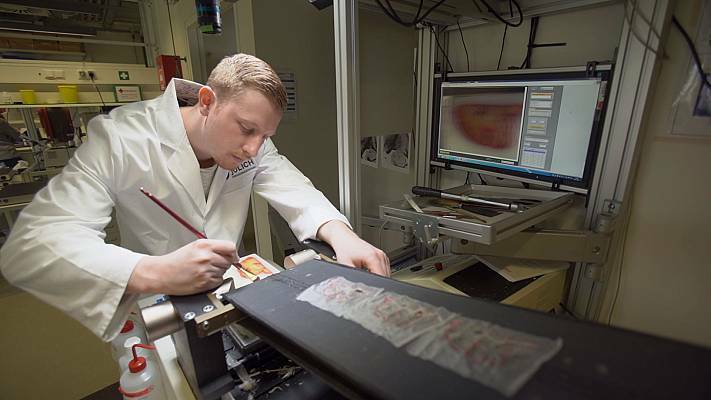 Each slice is then scanned in even finer detail, to arrive at a depth resolution of 1 micrometer. Each of those 1 micrometer scans becoming an image of 10 to 15 gigabytes in size. It's fine, detailed work generating huge amounts of data. 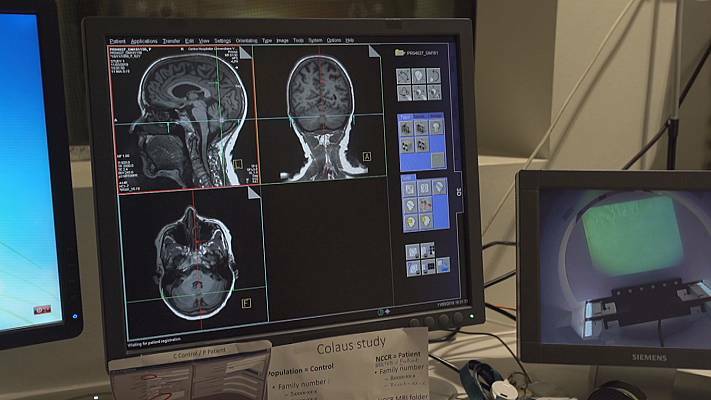 The goal is to piece the scanned images back together inside a computer, and make a 3D 'atlas' of the brain. Nothing in this project is straightforward. "During cutting we have cut off the cells into two pieces sometimes, very often," says Amunts. "When we want to 3D reconstruct these sections we have to find the two matching elements of a cell that has been separated. Since there are so many cells, this is really a challenge." "The brain is not very big in terms of cubic centimetres. It's one point five litres, so that's not so much," Amunts continues. "But there are about 86 billion nerve cells, each nerve cell has about 10,000 contacts, and there's approximately the same number of glia cells, which are also important in the brain. So we see that there's enormous complexity of nerve cells and their different connections. And when we go to this level, then we end up with a lot of data," she adds. 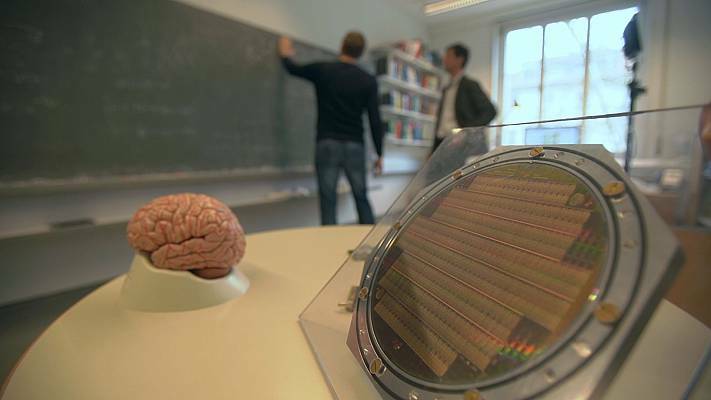 Seven thousand brain slices will amount to around two petabytes of data. The team is using the Jülich supercomputing centre to process the information. However, even this giant machine is limited when faced with replicating the complexity of the human mind. "The supercomputers provide the performance which they need at the current level of their research, but we can also see limitations, in particular if it's about simulating models that provide a similar number of neurons as we have in our brains," says Jülich supercomputing expert Dirk Pleiter. "These kinds of models simply don't fit into the memory which we provide in our supercomputers. You really need the biggest computers which are available in the world just to simulate a tiny fraction of our brains." 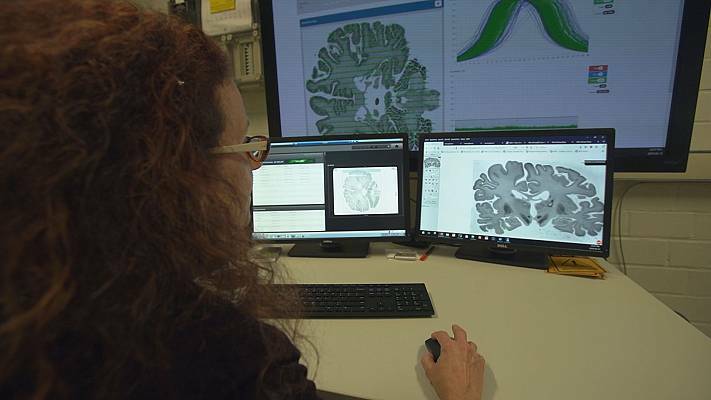 The slicing and scanning is a key step in trying to understand the human brain, and allowing the fundamental research that The Human Brain Project aims to carry out. Other researchers in the project are looking at the issue from another angle. They are building computers which 'copy' the architecture of the human brain. At the universities of Bern in Switzerland, Manchester in England and Heidelberg in Germany, the researchers are working on a new kind of 'thinking machine', known as a 'neuromorphic' computer." 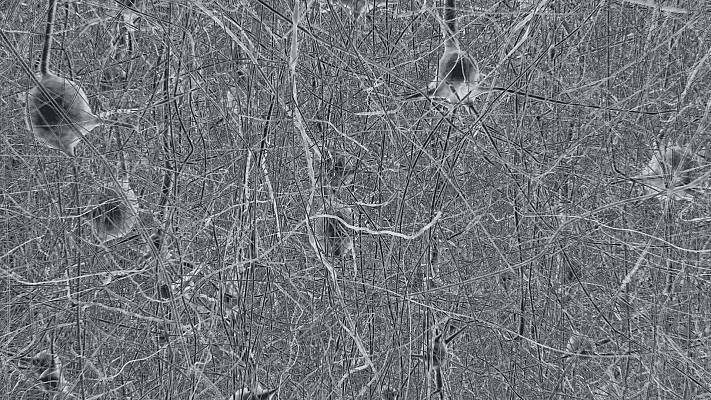 They have the lightning-speed of silicon chips, yet the architecture of brains, as computational neuroscientist Mihai Petrovici explains: "Neuromorphic means like neurons. So you take the physics of neurons, copy it into silicon circuits, and you get an array of 200,000 neurons that behave like neurons in the brain, but that are 10,000 times faster." This kind of computing is still in its infancy, and the devices, are no smarter than a fruit fly. 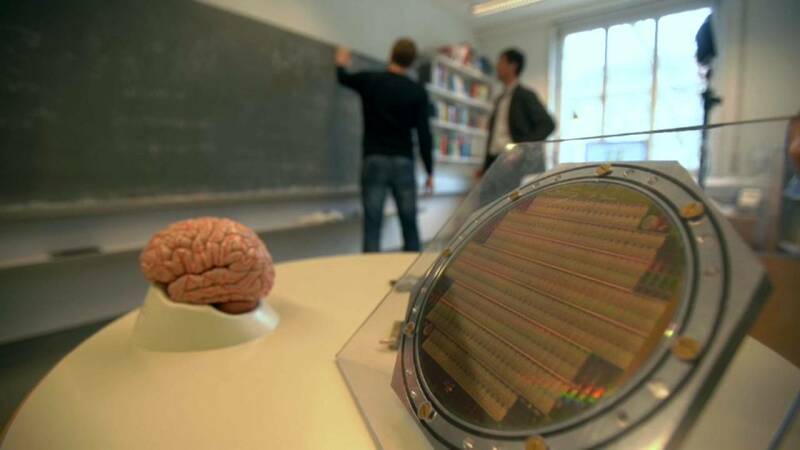 Still, the physicists are optimistic their work can pave the way for a superhuman level intelligence based on silicon. Petrovici has a prediction: "If, one day....I should say when one day, we can scale these things to the size of the brain, and we understand the architecture of the brain, then we will have cognitive agents that operate thousands of times faster than the flesh and blood cognitive agents that are sitting at this table"
The Human Brain Project has weathered some controversy since it began in 2013, notably in July 2014 when hundreds of researchers wrote an open letter to the European Commission, which funds the project to the tune of 500 million euros, criticising the scientific approach of the management. The result was the management committee being dissolved and a new executive board appointed. 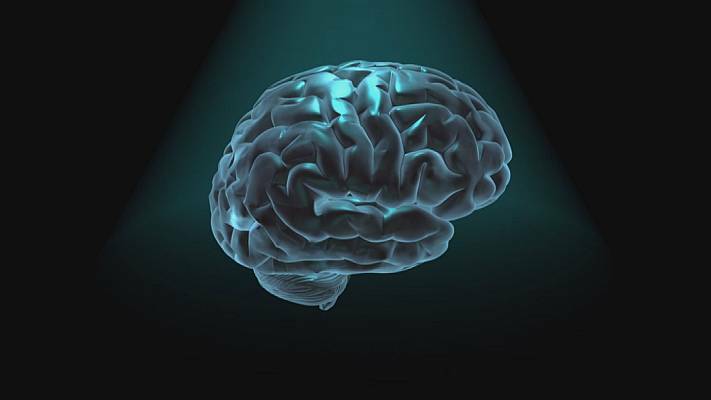 The project also remains cautious about 'over-selling' what it can achieve, particularly in terms of large-scale simulation of the brain in a computer. It prefers to point to the achievements in uniting previously diverse communities around the sharing of data on common platforms, and creating new computational tools for neurological research. The HBP scientists continue to face questions about the long-term implications of whether they could develop human-level or superhuman artificial intelligence. Amunts, scientific director of the project and a neuroscientist at the University of Düsseldorf, is curious to know how that would be tested, and proved. "To emulate a human brain in a really biologically meaningful and powerful way means really to precisely to understand what is happening in the human brain. And it is difficult to think about an experiment that would tell us that this artificial network for example has developed consciousness. So there are deep philosophical and technical and basic neuroscientific questions that we have to solve," she says. Another neuroscience expert in the project, Professor Philippe Ryvlin from CHUV in Lausanne, makes a different point - that human brain and brain-emulating AI can't be easily compared. "There have always been two big differences between machine and human brain. The first: the human brain develops over years of experience. Immersed in an environment, continuously receiving sensory and intellectual stimulation. We could inject that into a machine, but we would never take the time to do it in the same way. That's the first difference." "The second difference is that the computer by its very essence would be connected to a network, the Web, which would give it access to a huge range of information which we as humans do not have. That would in turn presage that this computer would be different, built in a different way, in a way that is difficult for us to grasp today. And that, that could be a cause of concern for us."